How CTFO Works – 💗 CTFO, Inc.
Is CTFO too good to be true? It’s not too good to be true… It is definitely too good to pass up! A 100% FREE Online Business, with NO-COST Ever to Keep Open! Think about this… Google and Facebook are the two most valuable BILLION-dollar websites, yet they do not create any content whatsoever, and people can use them for free. Amazon, is similar. A BILLION-dollar brand that doesn’t charge it’s 500,000+ affiliates to promote products and still pays them a commission on sales. It is very, very simple. In today’s economy, a 100% FREE opportunity to make money is not only an attractive option, it is absolutely vital! 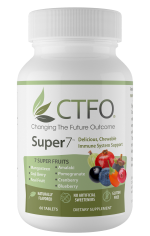 CTFO allows us to expand a network of hundreds and thousands of people who are “plugged in” to the company, who are educated on the products via live weekly calls, and offered a 60-day money back guarantee on any purchases, in the nutrition and weight loss industry. All CTFO products, and product packages have a commission value (aka CV), which is the dollar amount that is distributed back to the team on sales. People are eating up CTFO’s CBD product line. Just refer. You just refer free members. On every personal, voluntary referral order of any CTFO products, you get 20% of the CV from every direct referral as an ongoing, residual bonus, and there is no purchase obligation to earn this, nothing to buy ever on your part. That is an affiliate’s dream! On the residual multilevel end, according to FTC MLM law that makes a company legitimate, a product must be retailed through a business center in order to receive commissions on multiple levels of customers and distributors. So when you see second and repeat orders being placed, or when you see orders made by your referrals referring others and you want to get paid, you simply purchase one product personally (I recommend the Super7 Chew) through your account and now you met the “retail” requirement of your business center and you can get paid on all orders within your huge 3X21 matrix network via the CTFO long-term pay plan. That is awesome! DON’T HESITATE. YOU’VE GOT NOTHING TO LOSE. DON’T PASS THIS ONE UP. If you have any questions about the CTFO products, business opportunity, 60-day money back guarantee or for any other questions, contact CTFO anytime!